All submission deadlines have passed for World Haptics 2015. The instructions are posted here for reference. WHC2015 thanks the submitters for their work, and we look forward to seeing you at the conference. The due date for technical papers is January 26, 2015. All accepted technical papers will be presented in oral format at World Haptics Conference 2015. Accepted technical papers will be submitted for publication to IEEE Xplore. Technical papers should be prepared according to the formatting instructions available here. The paper should not exceed 6 pages in length, although up to 2 additional pages may be purchased at $200 USD per page. In addition, please limit your abstract to 200 words or less. WHC2015 does not require anonymous submission and authors should include their names and affiliations on the paper. For your convenience, the templates for technical papers can be downloaded in Word or Latex format. Note that only the US Letter template will be accepted, not the A4. All submitted technical papers will be peer reviewed. The WHC2015 Conference Editorial Board (CEB) will conduct the review process and make final decisions on each submission. To ensure a good match between the papers and the reviewers, each submission will be considered by one of three subcommittees: Haptic Science, Haptic Technology and Haptic Application. Authors can indicate their preference of review subcommittee on the paper submission website. Authors may upload a video associated with their technical paper. Submission of a video is optional. Uploaded video will be reviewed along with the paper. Videos will be submitted for publication to IEEE Xplore, as well as used for promotional purposes at the conference. Select videos will be considered for the community's YouTube channel, to be created this year. When submitting a video, please follow these guidelines: format (mpeg 4), length (30 seconds), resolution (at least 480p progressive scan), and file size (up to 80 MB). New this year: the top 10% of submissions selected by CEB based on reviews will be referred to the IEEE Transactions on Haptics (ToH) for expedited review of an evolved, journal-length version. WHC reviews will be regarded as first-round reviews in order to accelerate the review process of ToH. If you would like to have your paper considered,you will need to indicate this and provide a brief description of the planned evolution of the paper during the submission process. New award: In addition to the traditional Best Paper and Best Demo awards, WHC 2015 will select an inaugural Best Student Presentation award. Presentations will be judged based on both the paper and its oral presentation. Eligibility requirements: (1) The Paper must be written primarily by the student, and its content should be drawn from research this author conducted as a student. (2) The advisor and/or others can be co-authors, but only one student per Paper can be considered for the award, and that student must be the lead author. (3) The Paper must be submitted by a student currently enrolled as an undergraduate or graduate student (Master’s or PhD candidate), or within a year following the graduation of the student from the university. (4) The student will present the Paper at WHC2015. (5) Only Technical Papers are eligible. Submit your technical paper via PrecisionConference here. World Haptics Conference 2015 solicits proposals for tutorials and workshops, to be held on June 22, 2015 preceding the full conference. The due date for workshop and tutorial proposals is February 6, 2015. Tutorials should disseminate knowledge of established research areas that are relevant to the haptics community. Workshops are forums where specific research topics are presented and discussed aimed at extending the normal disciplinary boundaries of haptics. Both tutorials and workshops can have either HALF or FULL day duration, according to proposed plan and covered topics. A one page proposal is enough for the initial submission, however a 2-6 page abstract will be requested at a later date to be included in a DVD workshop proceedings which will not be posted online. The template for proposals can be downloaded here. Workshop and Tutorial Proposals should be sent by email to the WHC15 Workshop and Tutorials Chairs here. The goal of workshops is to stimulate or highlight new research topics relevant to haptics that have not previously been within this community’s mainstream. They should allow members of the community to present and discuss new approaches to research, methods, concepts or emerging research areas. This forum should also nurture the interaction among presenters and attendees to obtain feedback from the attending community. Workshop presentations should not largely repeat oral presentations at the main conference, but could, for example, highlight or collect relevant work that has been seen in non-haptics venues. Interested workshop organizers can choose between two different workshop formats: open and panel. Open Workshops: The organizer proposes a topic, which (after approval) is disseminated openly; interested speakers apply to the organizer to participate. This style of workshop is ideal for exploring the degree of interest and activity in a new area. The organizer should submit a proposal describing the topic, workshop structure and mechanism for choosing speakers to the WHC15 Workshops Chairs by January 15, 2015. Once reviewed and accepted, the topic will be publicized. The organizers must supply a final program and list of speakers to the Workshops Chairs by February 6, 2015. Panel Workshops: The organizer proposes a topic, panel of speakers who have agreed to participate, and schedule and description. The proposal should be submitted to the Workshops Chairs by February 6, 2015. Work-in-Progress papers are a new offering in 2015 that will enable authors to share late-breaking results with the research community. The due date for WIP papers is April 14, 2015. All submitted WIP papers will be reviewed by a panel of Work-in-Progress Editors. Accepted papers will be included in the USB proceedings, but will not be submitted for publication to IEEE Xplore. Authors will retain full copyright. At the conference, authors will be expected to participate in a poster teaser session and in an evening poster session. This poster session will not be held in parallel with other activities such as demonstrations or podium presentations. The organizers expect it to be very well attended. WIP papers should be prepared according to the formatting instructions available here. The paper should not exceed 2 pages in length, although up to 1 additional page may be purchased for $200 USD. In addition, please limit your abstract to 200 words or less. For your convenience, the templates for WIP papers can be downloaded in Word or Latex format. Note that only the US Letter template will be accepted, not the A4. Authors may upload a video associated with their WIP paper. Submission of a video is optional. Uploaded video will be reviewed along with the paper. Videos will be used for promotional purposes at the conference and select videos will be considered for the community's YouTube channel, to be created this year. When submitting a video, please follow these guidelines: format (mpeg 4), length (30 seconds), resolution (at least 480p progressive scan), and file size (up to 80 MB). Submit your Work-in-Progress paper via PrecisionConference here. Final version of WIP paper: Your revised, final version should incorporate the edits suggested by the reviewers and must adhere to the conference formatting requirements and must include an abstract. To ensure compliance, please use the correct template for WIP papers. Paper format will be verified for all final submissions. All accepted WIP papers will be included in the USB proceedings, but will not be submitted for publication to IEEE Xplore. As such, authors will retain full copyright. Abstract and accompanying image: A digest abstract of no more than 100 words and a representative image in jpeg format with a resolution of 300 dpi and size of 500 x 500 pixels must be uploaded to the submission website. Both the abstract and image will appear in the printed conference digest. Title, authors, and affiliation: Any changes made to the title, list of authors or their affiliation should be made through the submission website before uploading the final version of your WIP paper. The conference program will reflect these changes and this is the only way to ensure that the final program of the conference will have the updated information. Teaser session slide: Prior to the poster session, you will be asked to give a short (40 second) introduction to your work during the poster teaser session. A one-slide Powerpoint file will be required at the time of final paper submission. A teaser-slide template can be found here. In addition to the material listed above, please prepare a poster to be presented during the evening poster session to be held on Tuesday June 23rd. Your poster should be no larger than 4 feet x 4 feet. You will share one side of a 4 foot tall and 8 foot wide poster board with another WIP poster. Finally, keep in mind that at least one author of the paper must register for the conference. Failure to register will result in withdrawal of the paper. World Haptics 2015 will feature several sessions devoted to live demonstrations of haptic technology. Those interested in offering a demo must submit a proposal no later than April 14, 2015. Each proposal must include a 100 word abstract, a mock-up image to be used for space planning, and an image that can be used in the conference digest. The mock-up image should be a photograph that shows where the demo presenters and a conference attendee will sit or stand, and that includes demo hardware components, tables, chairs, lights, power strips, etc. Be sure to label and annotate all parts of the mock-up image to help reviewers and conference organizers understand your setup and space needs. A sample image may be found here. For your reference, the standard allocation for each demo will include one table (1500x600mm), two chairs, a vertical divider where a poster can be mounted, and one 120V outlet. If you have special requests, please indicate this on the submission page. 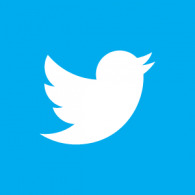 The digest image should be 500x500 pixels at 300 dpi in JPEG format. We also highly recommend that presenters submit a supplemental video. Supplemental videos may be used in the review process. In addition, videos will be used for promotional purposes at the conference and select videos will be considered for the community's YouTube channel, to be created this year. When submitting a video, please follow these guidelines: format (mpeg 4), length (30 seconds), resolution (at least 480p progressive scan), and file size (up to 80 MB). Please note that the accepted demo proposals will be included in the USB proceedings but will not appear on the IEEE Xplore Digital Library. Only other types of submission (e.g., technical paper) will appear on the IEEE Xplore. Your video submission, in whole or part, may be displayed during the World Haptics conference for attendees to view and may be uploaded to YouTube to increase the visibility to the Haptics research community and general public. All submitted materials will be reviewed by the Demonstration Session Co-Charis based on suitability for the conference. Submit your demonstration proposals via PrecisionConference here. 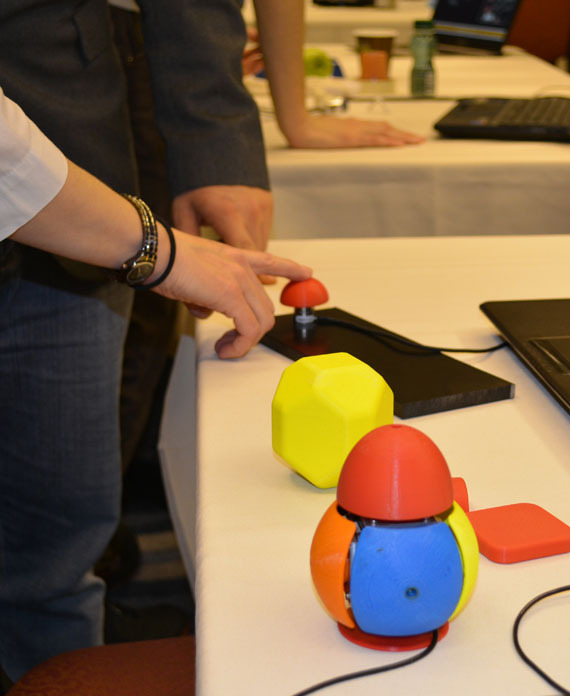 To demo presenters, thank you for participating in the 2015 IEEE World Haptics Conference. Your interactive demonstrations greatly contribute to the quality and diversity of the event and we appreciate your efforts. With the conference less than a month away, there are a few items in regards to logistics and your responsibilities as demo presenters that we would like to communicate. The demo sessions will be held in the Louis and Lake Rooms, located in the Norris University Center. The final booth assignments have been made and are listed below. An overview of the demonstration and exhibitor layout is also included for reference. Please review your booth assignment immediately. Any concerns should be communicated to the demo chairs (demos@haptics2015.org) as soon as possible. Additionally, we are pleased to report that special requests made for additional equipment support (communicated through the submission webpage) have been accommodated. However, the conference site is unable to supply 220 V power. Demo presentations requiring power at voltage levels different than the US standard 110 V power must provide their own voltage conversion equipment. We apologize for any inconvenience this may cause. Please be aware that demo setup will take place on Monday from 3:30-7:30 pm. Demo tear-down will occur on Thursday from 12 noon – 5 pm. To facilitate equipment transportation, a shuttle will operate between the Hilton Orrington and Hilton Garden Inn hotels and the main venue (Norris Center) during setup and tear-down times. The conference program includes three demonstration sessions, scheduled as single-track activities with no other events or talks scheduled in parallel. As such, we expect a good turnout during the demo sessions. As much as possible, please make an effort to man your demo booth during all three demonstration sessions. If you must leave your station unmanned, please leave a sign indicating when you will return, so that both attendees and the judges can revisit your booth. The demo award judging will take place during all three sessions, with the initial screening to occur on Tuesday. The second round of screening will take place on Wednesday and Thursday. Failure to keep your booth adequately manned may render your demo ineligible for award consideration. To facilitate judging activities we ask that you give preference to the judges when they arrive at your booth. The judges will be on a tight schedule and have less than five minutes for assessment. Finally, while we encourage you to engage visitors in your booth, please try to keep the walking areas in the vicinity of your booth uncrowded. Again, thank you for all your hard work in bringing your interactive demonstrations to the 2015 World Haptics conference. We look forward to seeing you and existing demonstrations. Demo booth numbers are now listed with their titles and authors on the program page. The student innovation challenge focuses on making the world a better place through haptics. This year, participants will build mobile applications using the TPad Phone. The TPad Phone is an Android smartphone with a variable-friction haptic display. 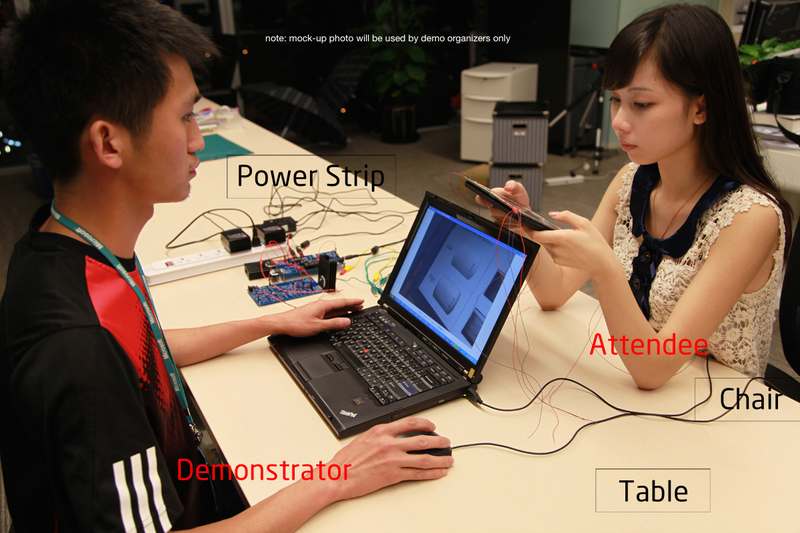 Students will write an Android application that uses the haptic display to solve some real-world problem. Teams will compete for $3,000 in cash prizes and each member of a winning team will receive a brand new Microsoft Surface Pro 3, up to 12 total.